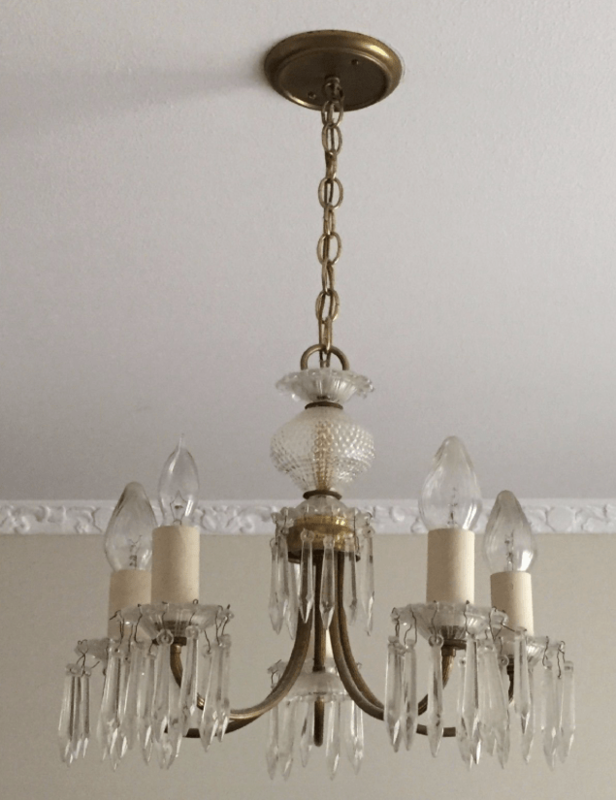 Somebody purchased a house built in the 1940s, and did not want the original chandelier. I always recommend that in such instances the new owner carefully remove the original lighting, and store it in the attic or dry basement, and with a note explaining what room it came from. 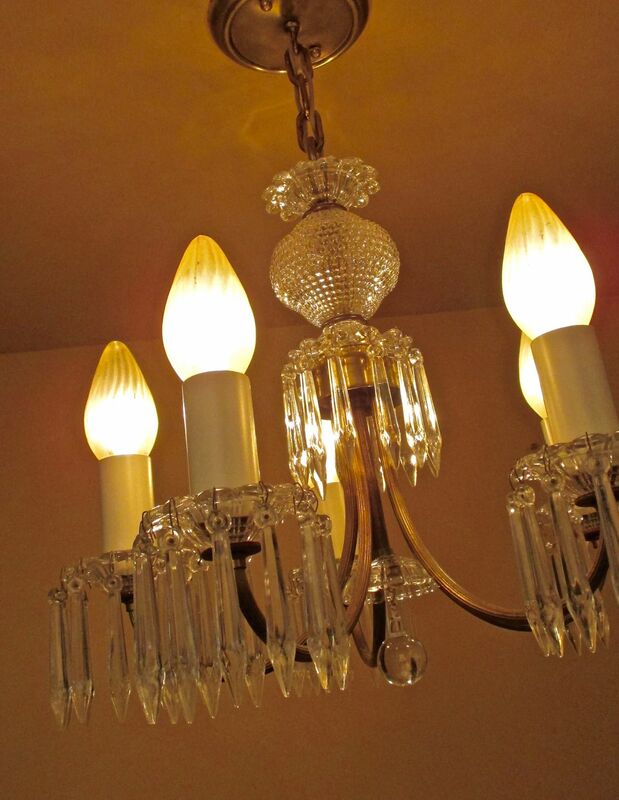 When they go to sell the house, many many potential buyers will be greatly interested in the original lighting. AFTER. I wonder if the above homeowner would have so easily let THIS beauty go? I did not do much. I rewired of course. I cleaned, of course. And I made sure that all the crystals were hanging nicely! Oh, and new candle covers! Pretty! 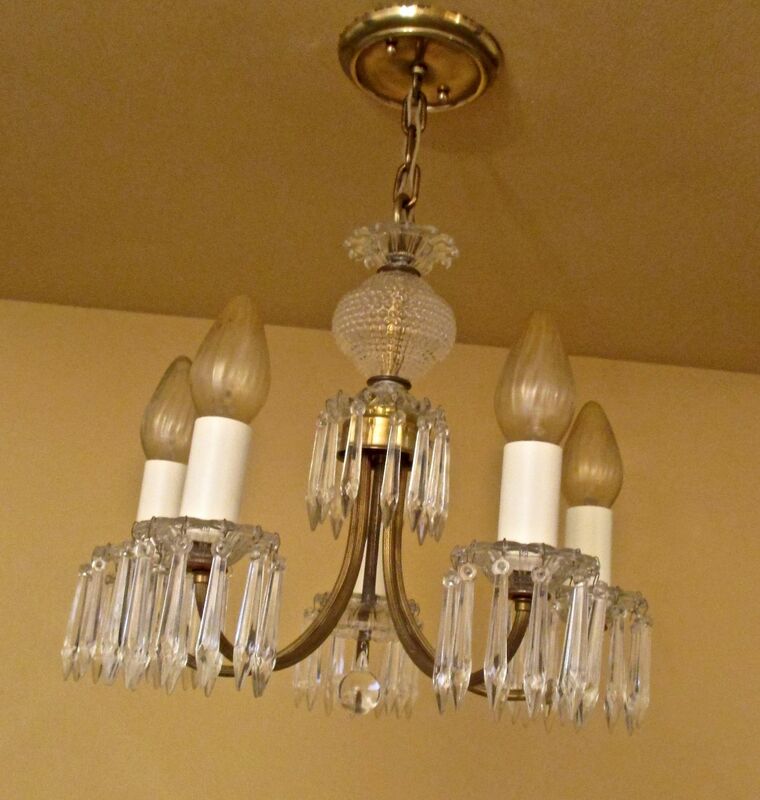 The chandelier is not really large, and is quite sweet in person. I smile when looking at.